Travis Hamonic - Sounds like he's still getting moved in the next few days. The Flames, Avalanche, Oilers, Jets and Canadiens are among the teams interested. Matt Duchene - After acquiring Jordan Eberle, the Isles seem to have fallen back in the hunt for Duchene. The Predators, Senators, Canadiens, Blues, Blue Jackets and Ducks have shown interest, but it still sounds like GM Joe Sakic is expecting more than what's being offered. Marc Methot - The Flames, Lightning and Stars seem pretty interested. Likely dealt shortly. Alexei Emelin - Could be a fall back option for some teams who miss out on the top names. Dallas are one team with interest. James Neal - Vegas may elect to keep him until the trade deadline this year, but the interest in him remains strong. Could be a draft floor deal - Los Angeles is among the teams kicking tires. Alex Galchenyuk - Things have gone a little quiet here, but it still sounds like he's on the way out. Colorado, Minnesota, Anaheim, New Jersey and the New York Islanders are interested. Alex Radulov - Contract talks seem to have stalled. The pressure to extend Radulov seems to have been lifted by the acquisition of Jonathan Drouin. Could he be convinced to sign with Vegas? Niklas Hjalmarsson - The Blackhawks are listening to offers. Marian Hossa - The veteran winger recently announced he will sit out the upcoming season due to a skin condition. They're looking to move his contract (likely somewhere like Arizona or Vegas). Jason Demers - Still some buzz around Demers. Many assumed they were only going to move him pre-expansion draft, but rumours continue to surface about his availability. 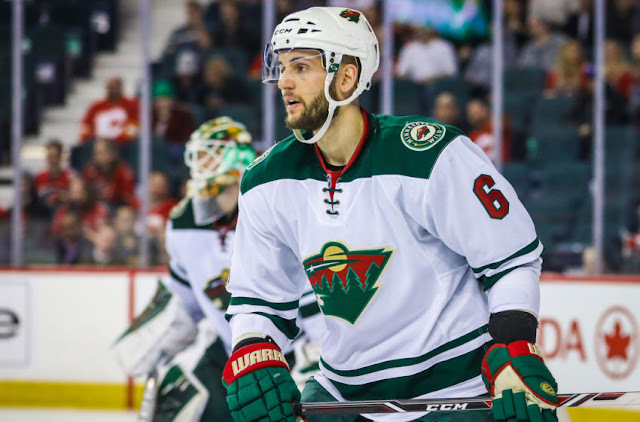 Marco Scandella - Seems now to be the Wild defenseman most likely traded. Jonas Brodin and Matt Dumba have generated a bit of interest as well. View the rest on the trade rumour board.